Flavius Iustinus Iunior Augustus was Byzantine emperor from 565 to 574. He was the husband of Sophia, nephew of Justinian I and the Empress Theodora, and was therefore a member of the Justinian Dynasty. 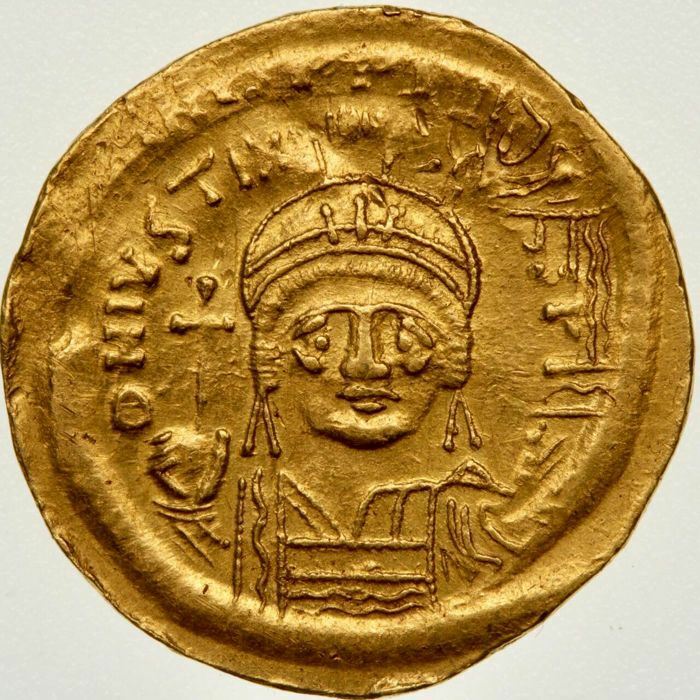 Justin II's reign was marked by war with the Sassanid Empire and the loss of the greater part of Italy. Proud of character, and faced with an empty treasury, he discontinued Justinian's practice of buying off potential enemies. Immediately after his accession, Justin halted the payment of subsidies to the Avars, ending a truce that had existed since 558. The Avars consequently destroyed the Gepids, which in turn caused the Lombards to migrate west and invade Italy in 568. The Avars then invaded the empire in 574, and had to be paid off as the army was occupied in Persia. Justin II was prone to temporary fits of insanity, and in December 574 he was forced to name a co-emperor. He chose the general Tiberius. His empress, Sophia, and Tiberius ruled together as joint regents for four years, while Justin sank into growing insanity. When Justin died in 578, Tiberius succeeded him as Tiberius II Constantine.